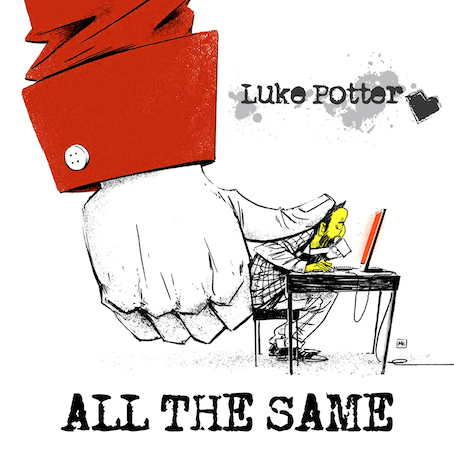 It’s a year since we first featured Luke Potter, a supremely talented musician from Somerset, who’s building an enviable reputation for himself in the world of radio-friendly pop. Since his track Should I Stay?, he’s continued to work with his friends Marcus Lindberg and Hjalmar Wilén from Scandinavian Songs in Stockholm, and now delivers this insanely catchy track. It’ll be the first of three singles in the coming months, all of which we’ve already been privy to, and all of which are absolute gems. Upcoming Aussie band Lyon Estate have just covered one of his songs and their follow-up is set to be another Luke co-write. He’s built an impressive 318,000 Twitter followers as his so-called Luke’s Dreamers and DreamTeam grows daily. Soon come London shows, a gig at the world-famous Cavern in Liverpool, and a secret project for September that’ll elevate his profile even further. It's feel-good, no-nonsense pop, expertly crafted and executed with total respect for the often much-maligned mainstream. Like what you hear? So do we. And wait until you hear what he’s got up his sleeve next.